Colin Dore, Permanent Secretary in the Ministry of Finance in the Nevis Island Administration (NIA), says the implementation of stronger tax collection practices in recent years, remains a key revenue generating factor for the administration as it seeks to create an environment conducive to economic growth. “[The] stronger tax collection practices [are] designed to reduce the level of arrears, thus raising our tax collection rates and streamlining the level of tax concessions granted, so as to ensure sustainable economic and financial stability, lower current account deficit and curbing the growth of public debt, thus creating an environment conducive to economic growth. “As a result of this, we continue to see increases in our revenue ranging from 3-5 percent over the past four years, despite the reduction of value added tax (VAT) on food items and a number of essential services,”Â he said. The total revenue collected for 2015 was $133.9 million, a 4.2 percent increase compared to the same period for 2014. Dore explained that for the first eight months of 2016, revenue collections stood at $88 million, surpassing the $85.3 million collected for the first eight months of 2015 and based on that trend it is anticipated that the total revenue collection for the remainder of 2016 is likely to be on par with the NIA’s budget to surpass the amount collected in 2015. “We continue to witness a strong growth pattern in our tax revenue collection, again as a result of our adjustment in our tax policies of trying to collect our taxes while reducing the amount of exemption granted. “Noticeable increases can be seen in Customs Duties and charges, Stamp Duties on Property Transfers, Property Tax, Social Services Levy and revenue from the Financial Services Sector,”Â he said. However, Dore noted that the VAT generated for 2015 was $33.2 million. It represents a decline of 15 percent compared to 2014. He attributes the removal of VAT on some of the food items and funeral expenses, as the reason for the decline but stated that all the areas continue to show strong growth patterns with the end of 2016 approaching. 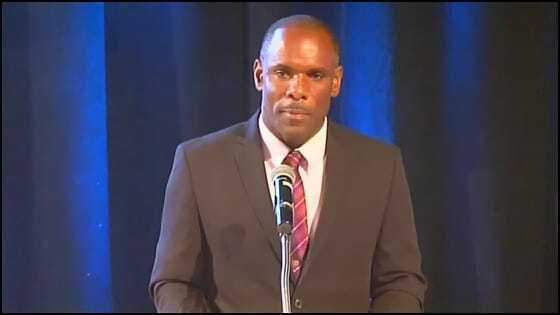 Meantime, Premier of Nevis Hon. Vance Amory in his address at the forum took the opportunity to urge persons who owe the NIA taxes to pay if the administration is to continue with no new taxes. “The government does not want to engage in any litigation. We prefer that you pay voluntarily and if you find any difficulty in paying, don’t ignore the tax collector and also in your private business if you have a difficulty with your banks, don’t ignore the bank go and talk to them. Let them refinance, let them restructure”. “If there is a need to restructure, that could be done but we need to collect the revenue so that we can provide the health services, education and the roads,”Â he said.